Singapore 1925-2025, Robert Zhao Renhui. There is no divorce from space. We are all undeniably inhabitants of one political entity or another, no matter how arbitrary the invention, which in turn shapes our ideas of personhood and community. Eminent writer and intellectual Edward Said wrote about geography from a place of exile, a situation by which he was forever deemed a refugee, searching for an imagined place of belonging. This search can easily be found in photography, a medium that quite literally holds up a mirror to society. Photographs by nature are confrontational between image-maker and image, and the physical world is almost unavoidable. The photographer’s studio is often the city; it is a flaneur’s place for introspection, yet simultaneously a workplace. As such, the inherent nature of photographs reveals more about the space we live in than we might think. This confrontation and the risk it entails are unique to the form, with the exception of cinema or performance art, and the level of intimacy it offers is perhaps one of the reasons why photographers take to it so obsessively. In the context of Singapore, the city-state has become the subject of obsession. 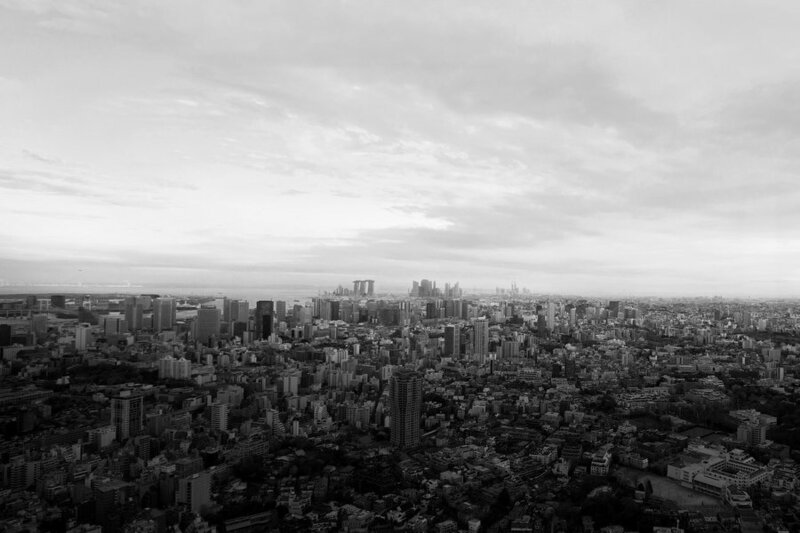 Our development has been unchartered over the course of the 20th century, establishing ourselves as one of the role models of Asian city development. In the last twenty years, the Asian city has come into its own: unabashedly modern, aspiringly utopian, and a blueprint looking not merely to emulate the West, but to overcome it. In so doing, its citizens have felt the tug of things lost with the turn of change. It is not merely nostalgia, but the search for identity, and can identity ever be without the familiarity that comes with even nascent historicity? 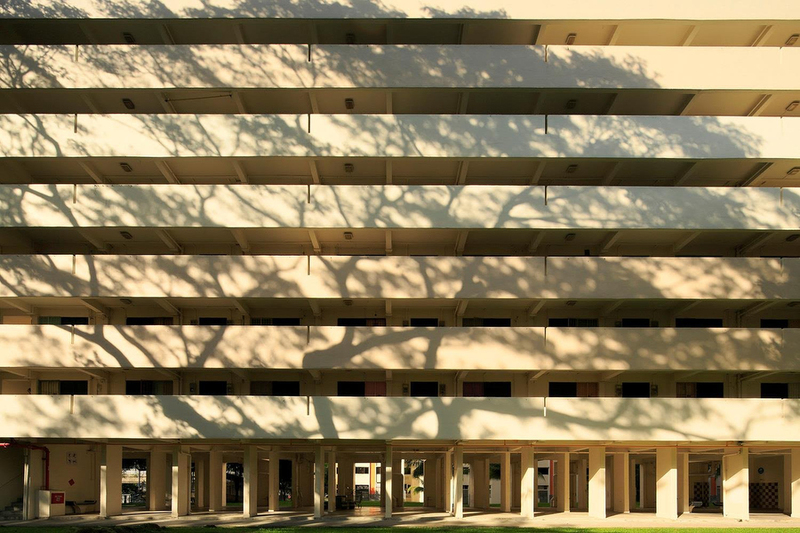 Singapore’s struggle is introspective – a search within – rather than a force juxtaposed against a wider political reality. We have no hinterland or superpower hindrance; our fight is simply the quest to find our own. How Loneliness Goes, a series of photographs set in Singapore by local photographer Nguan, provides one of the most obvious examples. His photographs have been described as a capturing of a nation caught in adolescence, simultaneously hopeful and lost in melancholy. His nation is one hued in pink, a country of pastel perfection dotted with hairline cracks. These faultlines are exulted, even revered, perhaps a reflection of the all too human tendency to search for those who are, like us, imperfect. 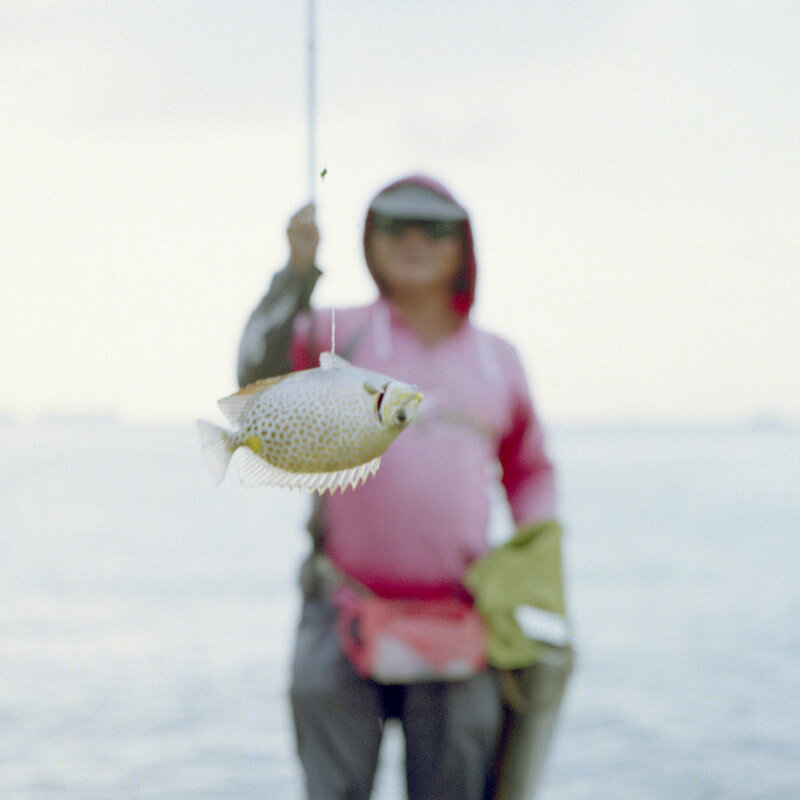 Robert Zhao Renhui pulls these mythic narratives into his own proportions with his post-processed compositions of a Singapore that doesn’t quite exist, at least not in the most literal iteration. 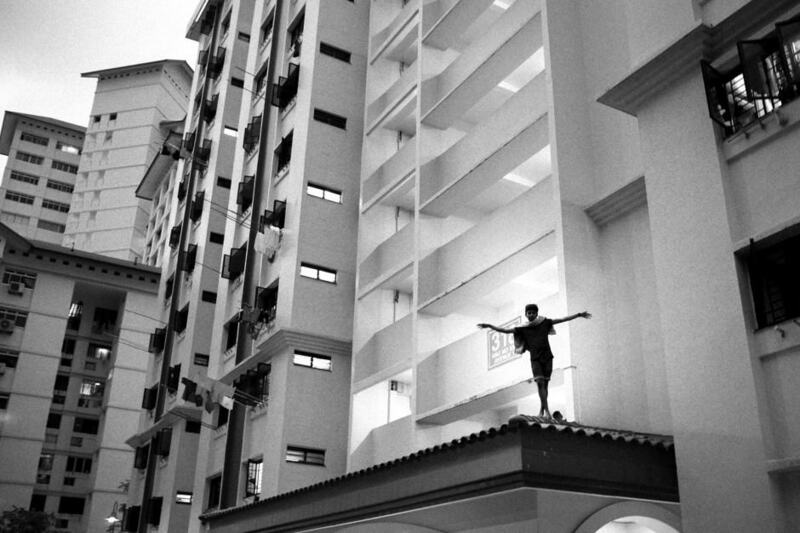 His photographs from Singapore 1925 – 2025, in muted black and white, examine a Singapore that once could have been. Northeast Hinterland (2015), Kevin WY Lee. 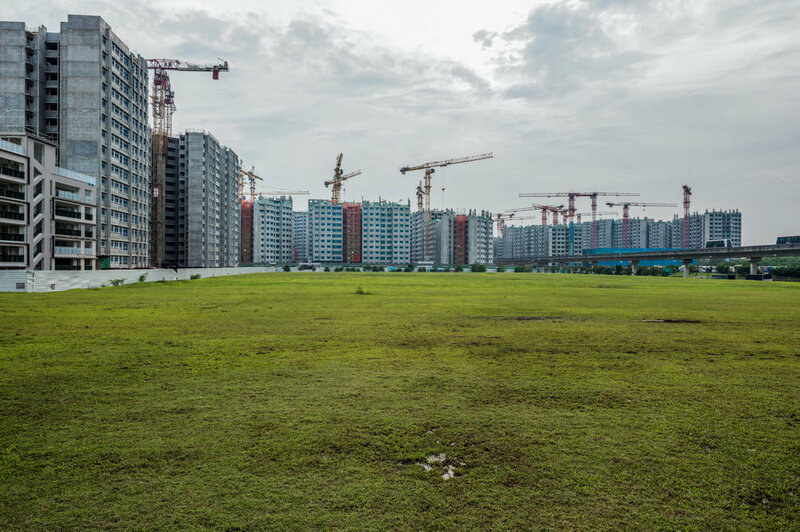 Other photographers have delved into territories that remain preciously unexplored, such as Kevin WY Lee’s Northeast Hinterland series about Punggol, a small pocket of space that has not yet been fully reached by the long arm of the Urban Redevelopment Authority. 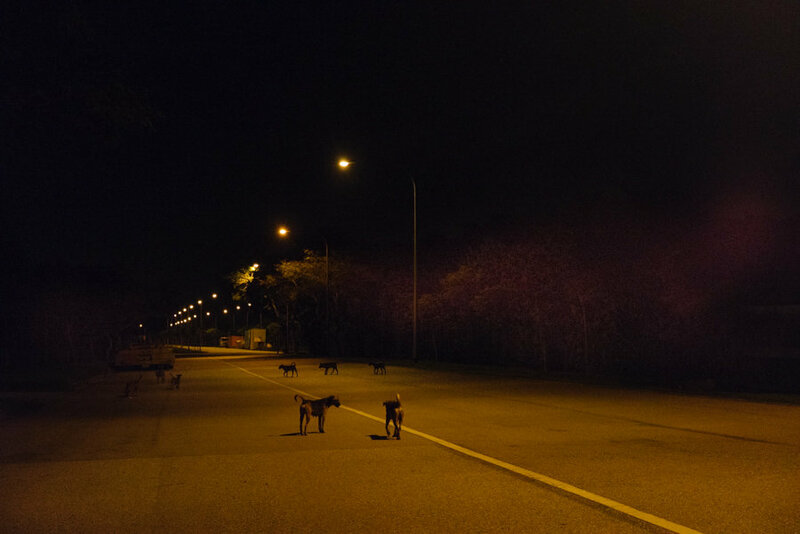 His search holds importance in this city-state precisely because it is everything the city-state isn’t: it depicts the freedom to roam, even if the only ones who do are wild dogs. Similarly, in the work of Lim Weixiang, both the coastline and the sea are signs of dispossession, an ironic consequence of life on a rapidly urbanised island. For My Son, Darren Soh. Seng Kang, June 2013. Plot, Caleb Ming. In Theorizing the Southeast Asian City as Text, Shirlena Huang and T.C. Chang describe the urban landscape as palimpsests, a metaphor that “acknowledges that places are continually inscribed with cultural meanings and compels us to examine a landscape not only for what the landscape does contain but also for what it conceals, hence requiring that we consider both the overt and hidden aspects of the politics of landscape change.” As such, the faithful documentation of spaces also offer an archive from which to examine what we’ve gained or lost. 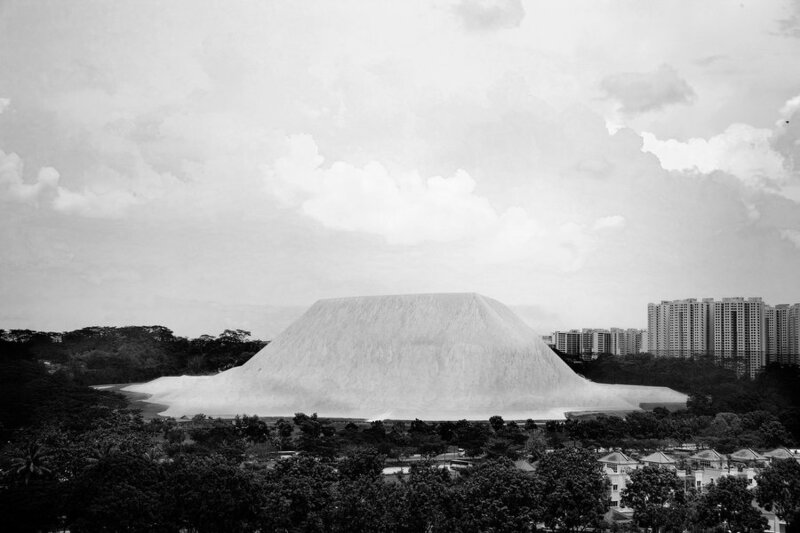 Darren Soh’s architectural photographs offer a similar vein of thought, except that his choices of buildings are mapped according to which ones are next up for demolition, providing an anxious, tangible reality to his wistfulness. Plot, a self-termed photographic record, is a series by Caleb Ming, about the wider variety of vacated, empty spaces that teeter at the edge of disappearance. These places are often earmarked by the government for development. What is perceived by the nonchalant passer-by as public land is in fact part of a long-term plan. In a city where almost every street corner is designated for functionality, Ming’s photographs reveal the preciousness of space, no matter how temporary. School of Hard Knocks, Bernice Wong. 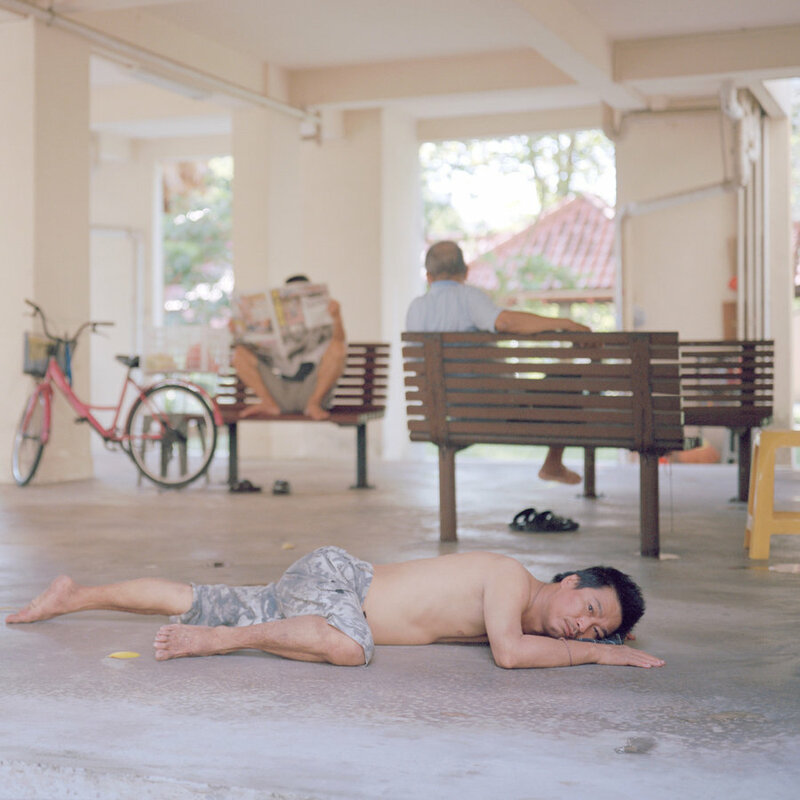 Other photographers zoom in on urban inhabitants, from Aujin Rew’s empathetic photographs of migrant workers at rest, to Bernice Wong’s School of Hard Knocks series about a low-income family in one of the most expensive cities in the world, to Grace Baey’s documents of transgender individuals in Little India. These are portraits of those who’ve slipped between the cracks of a system designed for none. And as time wears on, the city promises nothing. Peter Teh’s Forty and Some Things looks at the lives of a few individuals at the turn of their fourth decade, still feeling at the margins, still forming a makeshift system of their own to live by, in the sewers of the sky-high. Forty and Some Things, Peter Teh. This social alienation is also revealed in Sarah Choo’s multimedia installation, Waiting for the Elevator. Her cinematic composites focus on moments in the void decks of public housing flats, and the characters sitting quietly in these nightscapes are also figures in a larger narrative, one that is bereft in solitude. Waiting for the Elevator (detail) 2014, Sarah Choo Jing, multimedia immersive installation at the Esplanade Tunnel. Ultimately, despite the dominant mudflat-to-metropolis narrative, these characteristics of contemporary Singapore photography offer an insight into our collective questioning of who we are, where we are going, and why sometimes, it sometimes doesn’t feel all that right. Photography allows us to return to these spaces in our subconsciousness, and to run the risk of making an image that signifies a door between us and the world, a world that fascinates, allures, and sometimes hurts. Text by Charmaine Poh. Born and raised in Singapore, Charmaine Poh is a photographer and writer whose work explores social and contemporary issues of identity and place. She graduated from Tufts University with a B.A. in International Relations in 2013. Under the Program for Narrative and Documentary Practice, she completed documentary photography stories in Boston, Myanmar and Bangladesh, and has been published internationally. Her series, Learning to Leave, won the 2014 Noise Singapore Award.